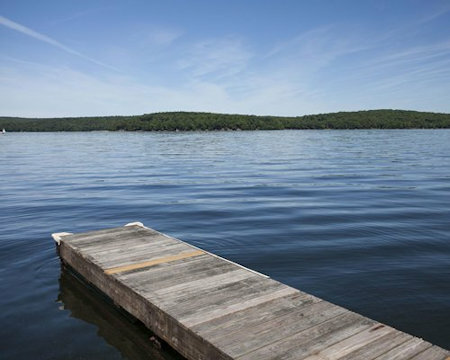 Enjoy 7 Nights in a 1 or 2 Bedroom Suite at the Tanglwood Resort on Lake Wallenpaupack in the Poconos! 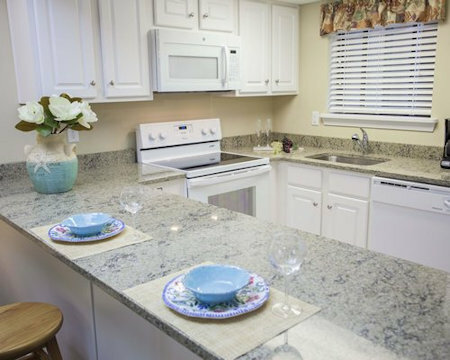 At Tanglwood Resort, vacation options abound in this strategically situated resort composed of condominium clusters. 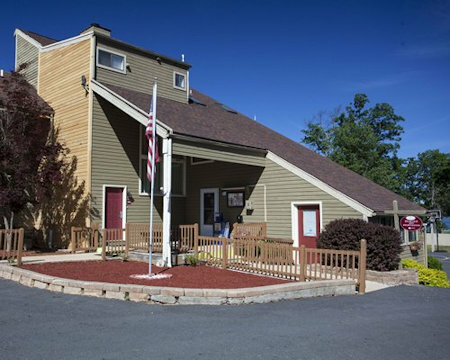 On the shores of beautiful Lake Wallenpaupack; or on a majestic mountain top; or on the nearby 18-hole golf course; or within the charming resort village. Anywhere you stay, you’ll have wonderful experience in this easily accessible paradise of four-season family fun. 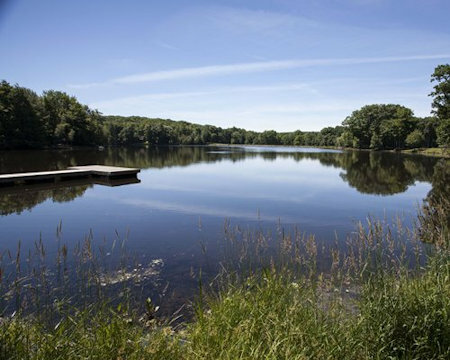 The Poconos, legendary for romance, family fun, fishing, hiking, skiing, and natural scenic beauty is the ideal location for your family vacation. 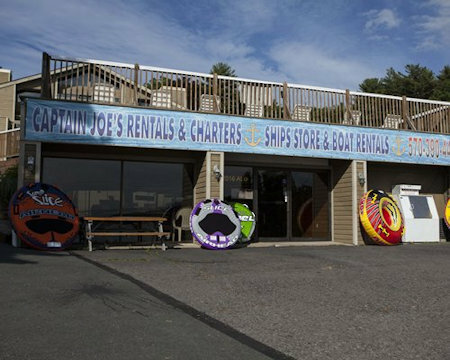 The Pocono Mountains boast 150 lakes including Lake Wallenpaupack, and the quaint, historic towns in the four county area. There’s much here to inspire the adventurous and the curious. Explore the art and rich culture, all exuding the simplicity and charm of a by-gone era. Also be sure to see lovely Bushkill Falls and visit the local zoo. Every apartment is air conditioned and carpeted, with a whirlpool/hot tub. And they all provide you with a full kitchen, with full-size refrigerator, stove, microwave, oven, toaster, dishwasher and coffee machine. In addition, you’ll find all the pots, pans, plates, bowls, and utensils you will need. All units have a TV and some have a washer/dryer. Some units have cozy fireplaces, around which you and your family can sit and recall the highlights of the day, or make plans for new adventures. 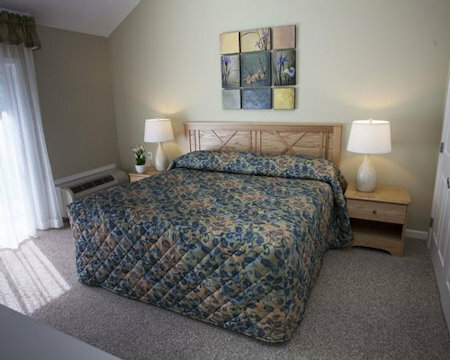 Your 1 BEDROOM SUITE will accommodate up to 4 guests and has a full kitchen. Your 2 BEDROOM SUITE will accommodate up to 6 and has 2 baths, 1 king and 1 queen, or 2 queen beds, and 1 sleep sofa. A US $50.00 refundable security deposit (cc) is required at check-in. Limited handicap facilities are available upon request. The resort has some buildings with multiple floors and no elevators. Some amenities may be 4 to 8 miles from the resort. Golf is available during the week only. Public beach access requires a fee. Ski seasons vary; please contact the resort to verify dates.